Sorry for not posting yesterday, but I was super busy with cleaning and then a bbq that went on until 2am... So now I'm bringing you yesterday's countdown and later on I'll come back for today's countdown. Today's object of desire is something I really need. I always wear sunglasses, even in this sunless land called Ireland, because I'm extremely sensitive to any light, and it's very inconvenient to always be putting them away any time I go into a place and then out again when I come out. 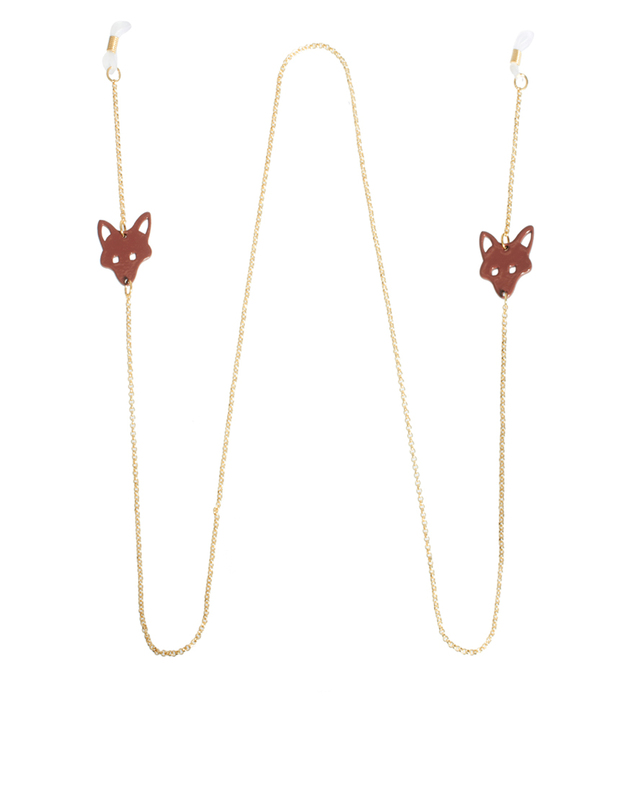 So this fox sunglasses chain would be perfect for me. What do you think? Would you ever wear something like that? Desculpem não ter postado ontem, mas andei ocupada com as limpezas e com um bbq que durou até às 2 da manhã... Por isso agora trago-vos a contagem decrescente de ontem e daqui a pouco a de hoje. O objecto de desejo de hoje é algo que preciso mesmo. Uso óculos de sol a toda a hora, mesmo nesta terra sem sol chamada Irlanda, porque sou muito sensível a qualquer claridade, e é mesmo muito inconveniente estar a guardar os óculos sempre que entro num sítio e a tirá-los sempre que saio outra vez. Por isso, esta corrente de óculos com raposas era mesmo o ideal para mim. O que acham? Eram capazes de usar algo deste género? E tao giro, claro que sim!